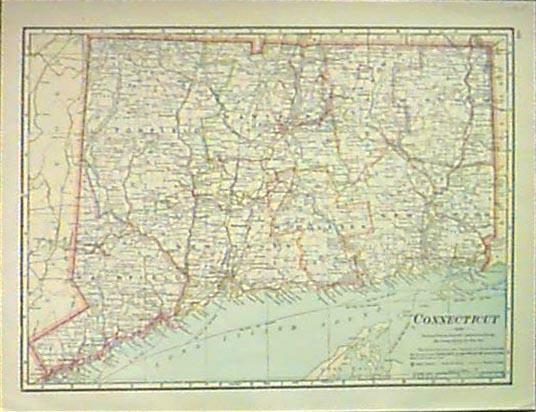 Connecticut Prints and Maps for sale. 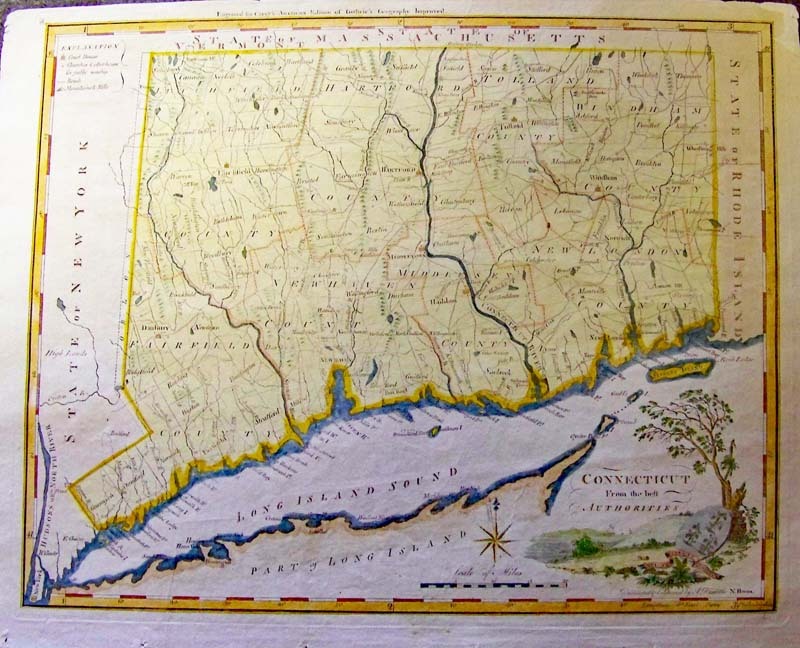 Connecticut from the Best Authorities, Dolittle, 1795 - A wonderful hand colored copper engraved map showing Mathew Carey's map of Connecticut, engraved by Amos Doolittle and published in Carey's American Atlas of Guthries Geography Improved in 1795. 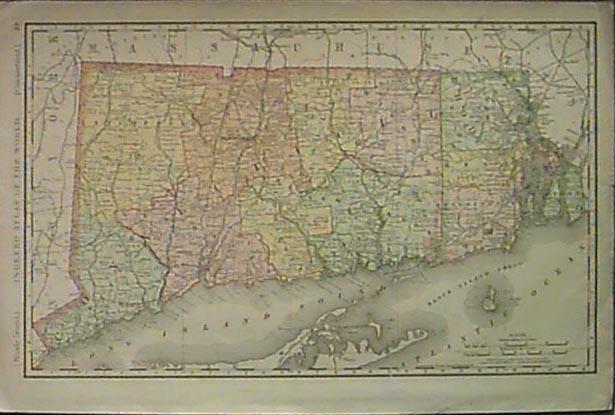 The towns and township lines are based on William Blodget's seminal map of 1791, but the coastal and river information derives from other sources. 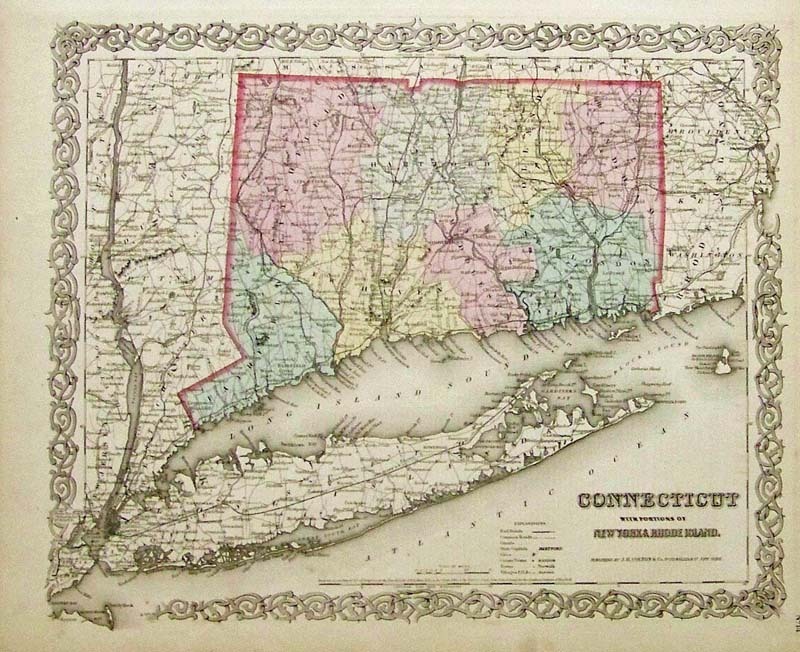 This second edition of the map (offered here) can be distinguished from the exceptionally rare separately issued first state by the addition of 3 trees east of the Hudson River in Greenwich County, near the disputed oblong portion of the western border with New York. 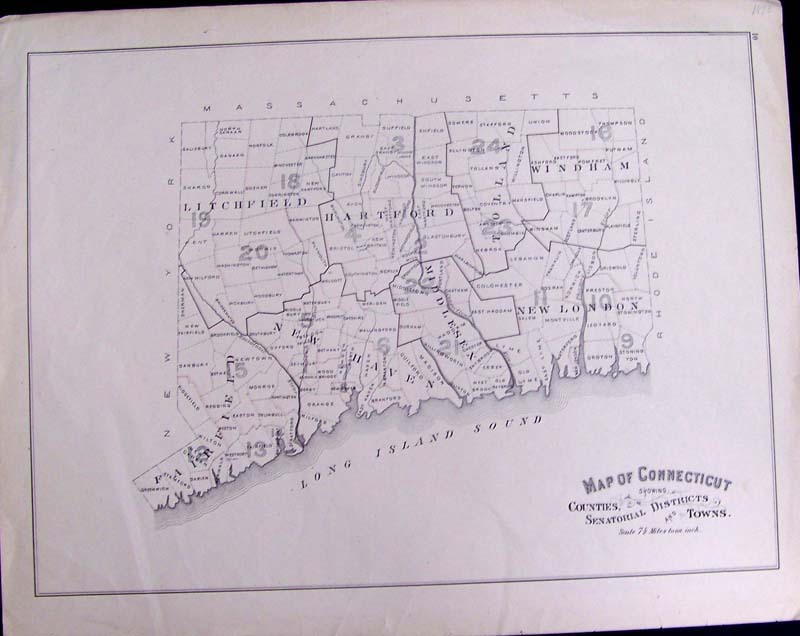 An essential map for Connecticut collectors. 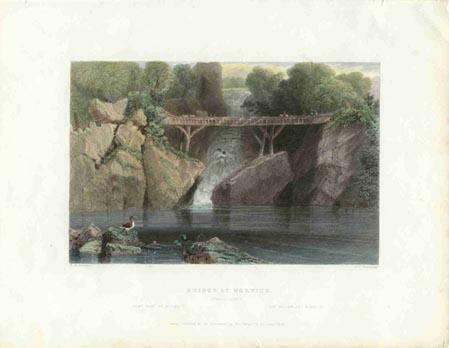 Special Note: Amos Doolittle was a famous and prolific Connecticut engraver whose work appeared for nearly 40 years and is highly collected. Carey's American Atlas was the first atlas published in the United States, compiling a number of excellent maps from indigenous sources in the first compilation of American maps. 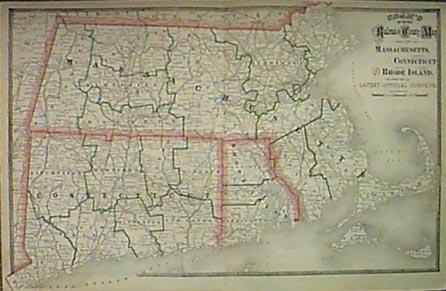 This map was engraved by Amos Doolittle in New Haven and bears his name, on a scale of 7.5 miles to one inch. aging color on margin edges. 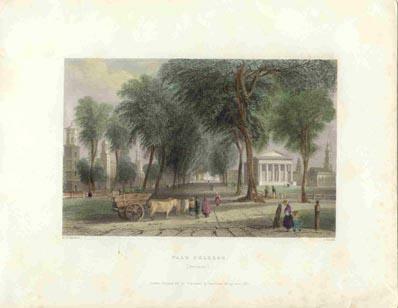 1838 William Bartlett view of Yale College. Professionally hand watercolored steel engraving. 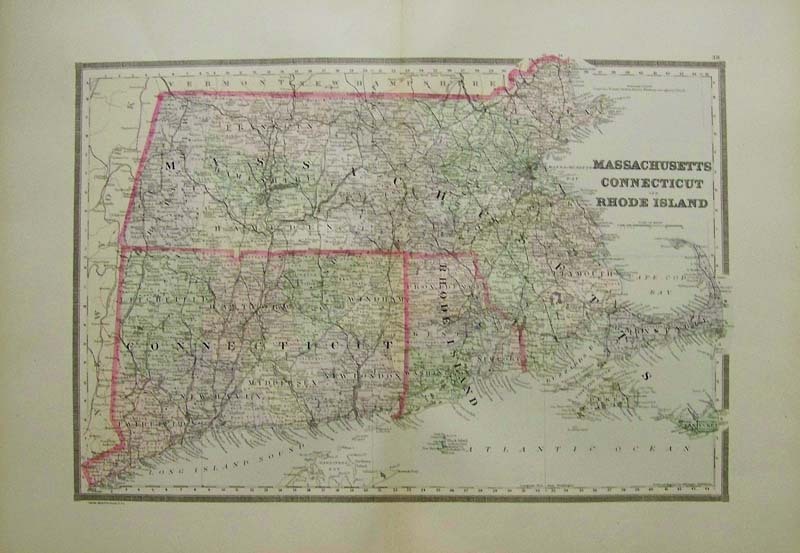 1884 Antique Railroad Map - Crams lithographic map shows Massachusetts and Rhode Island in addition to Connecticut. 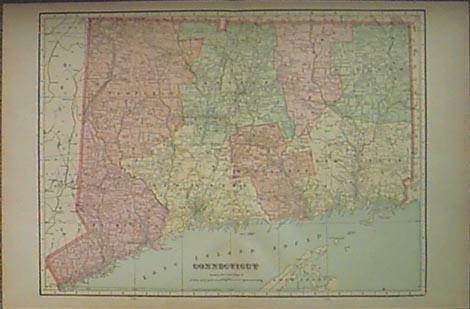 1902 Large old Rand McNally map of Connecticut and Rhode Island. Lithograph color by counties. 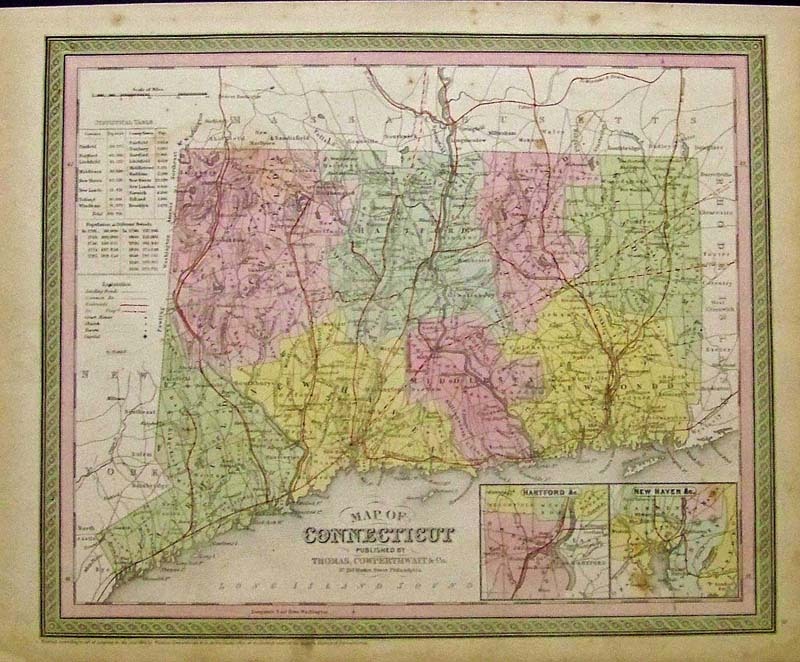 1908 Crams Map of Connecticut. Color lithograph, good detail. 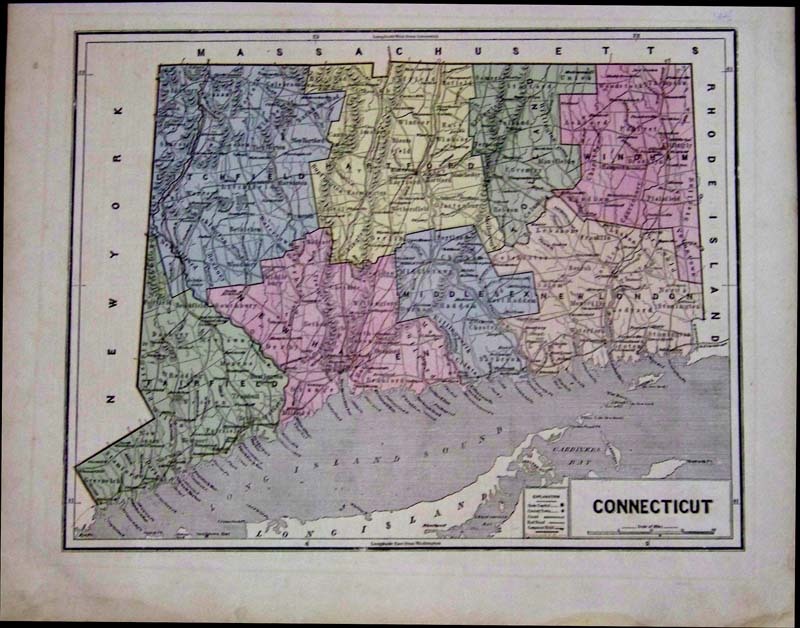 1915 Map of Connecticut. Original color antique map by Cram, shows rail and electric lines. 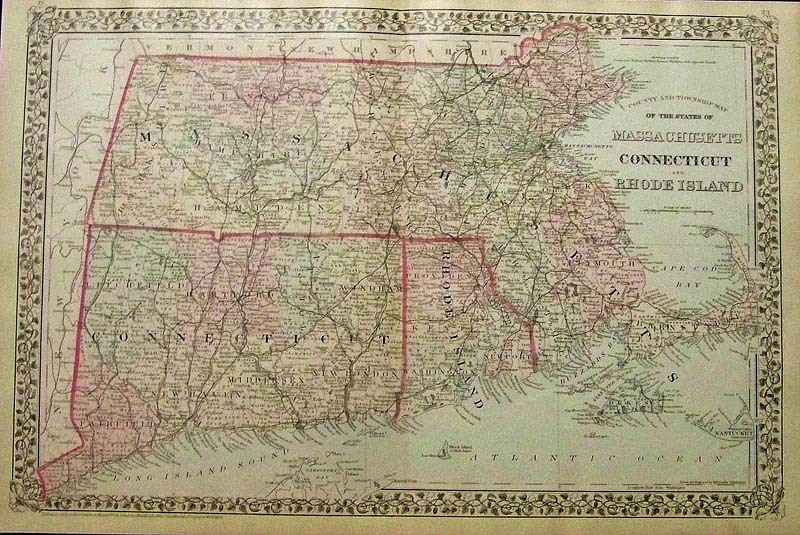 1855 J. H. Colton original hand colored engraved map showing Connecticut With Portions of New York & Rhode Island. Colton was among the earliest map makers with very accurate maps depicting cities and states in the United States. 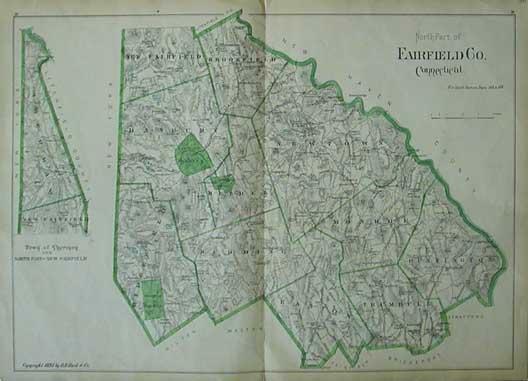 City of Bridgeport, Fairfield County, Connecticut. 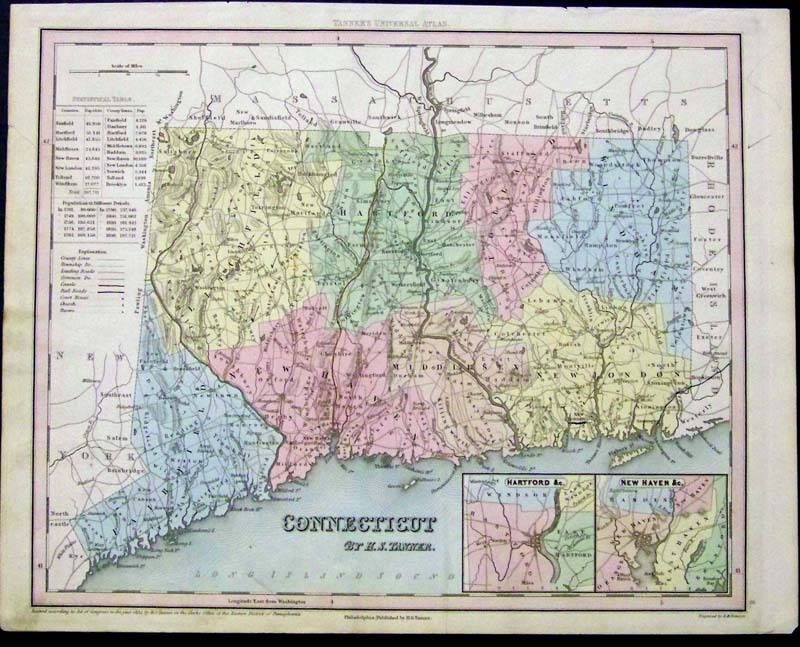 Hand colored lithographed map with wards demarcated by different colors. Inset of the Mountain Grove cemetery. 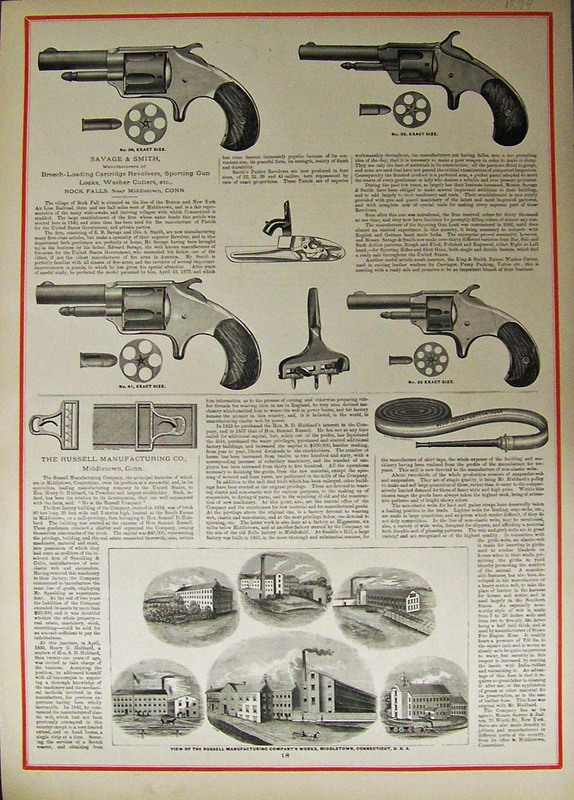 Revolvers - Savage & Smith, 1874. View of the Russell Manufacturing Company's works, Rochester Falls near Middletown, CT., U.S.A. Six vignette views of the company works. Wood engraving with color border. 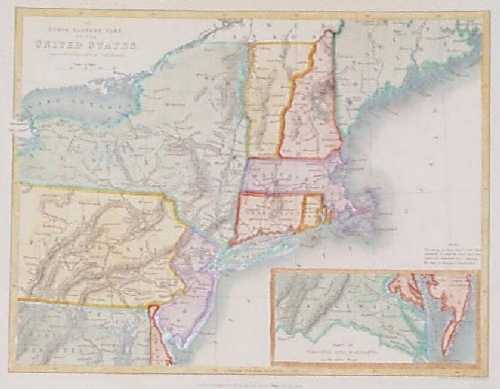 1838 Map of Northeastern United States. Interesting map, drawn by W. Hughes and published as an illustration to N.P. 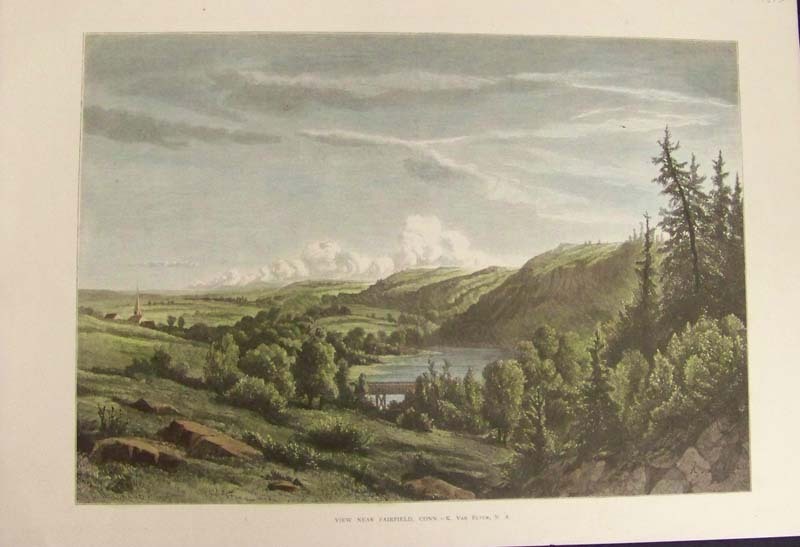 Willis' American Scenery Illustrated. Covers an area from central Virginia to southern Maine. 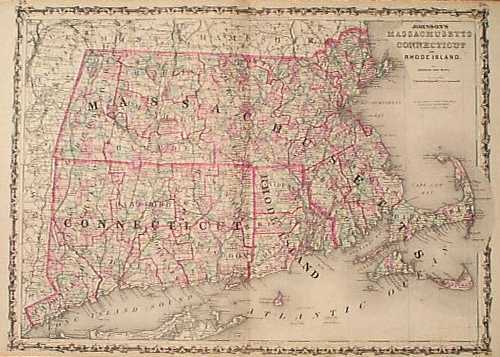 Cities, towns and railroad lines are shown. Each state is individually hand colored. 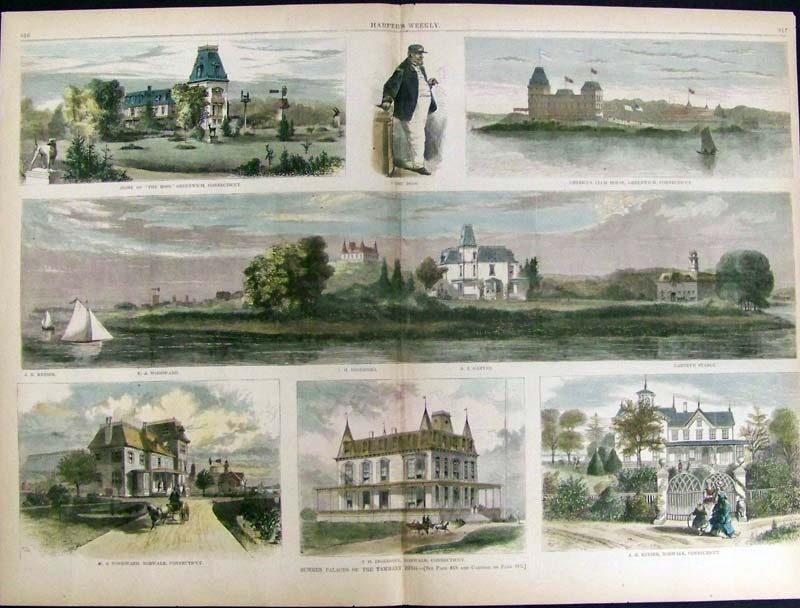 1886 Boston Post Road Scene. 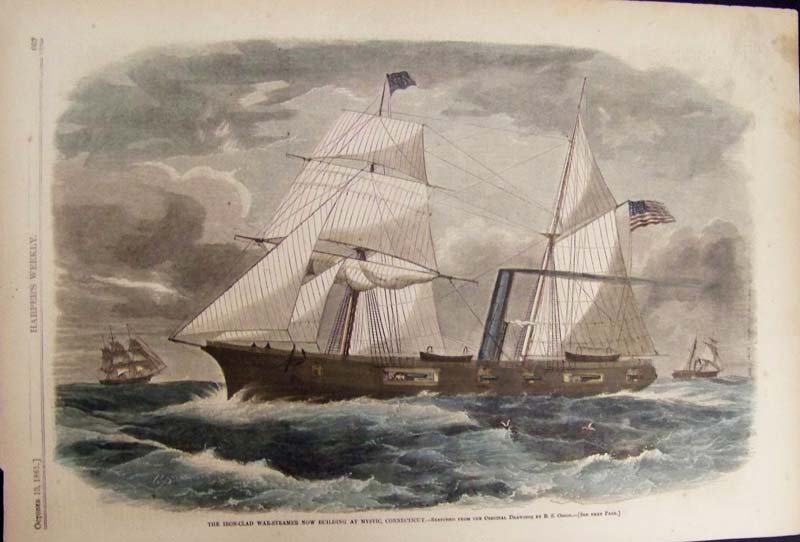 Hand colored engraving from Harper's Weekly, titled "A Relay on the Boston Post Road." 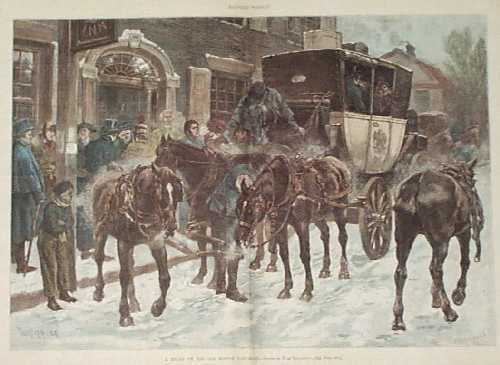 Shows the driver of a horse-drawn carriage picking up a package of mail. 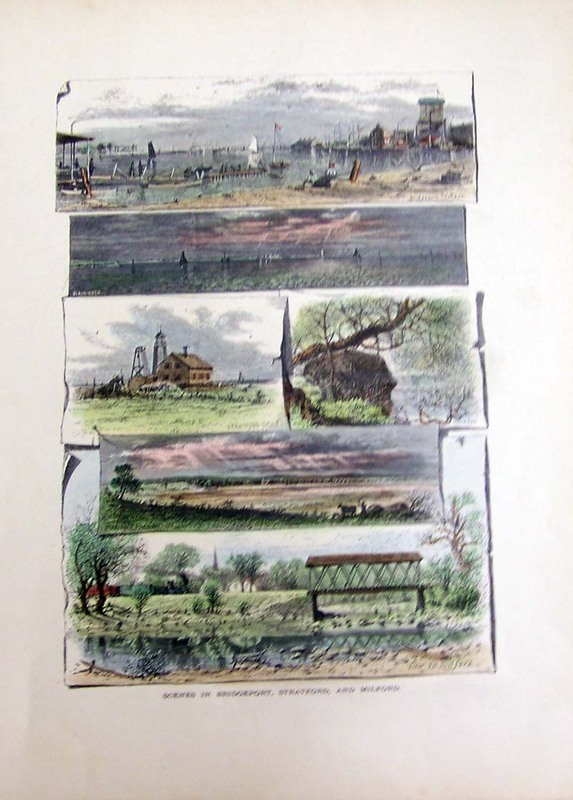 1874 Glimpses of South Norwalk and Southport -- Hand colored wood engraving from Picturesque America depicts several scenes on one page of South Norwalk and Southport. 7-1/2 Miles to an inch. Greenwich and Norwalk. 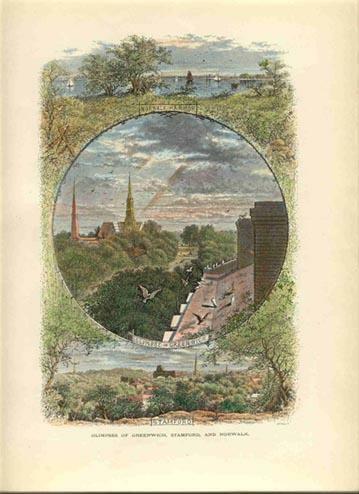 Summer palaces of Boss Tweed's Tammany Ring. 7 views of palatial shore front homes. 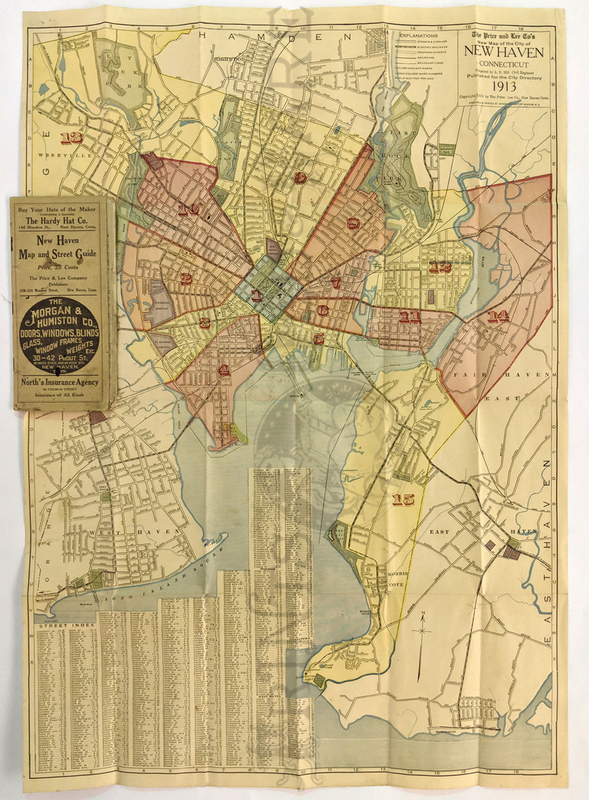 1913 New Haven Folded Street Map. Prepared by AB Hill for The Price and Lee Company. Shows streets, railways, proposed streets with colors indicating wards. Folded inside the street directory booklet. Very good condition with a few archival mends on verso. 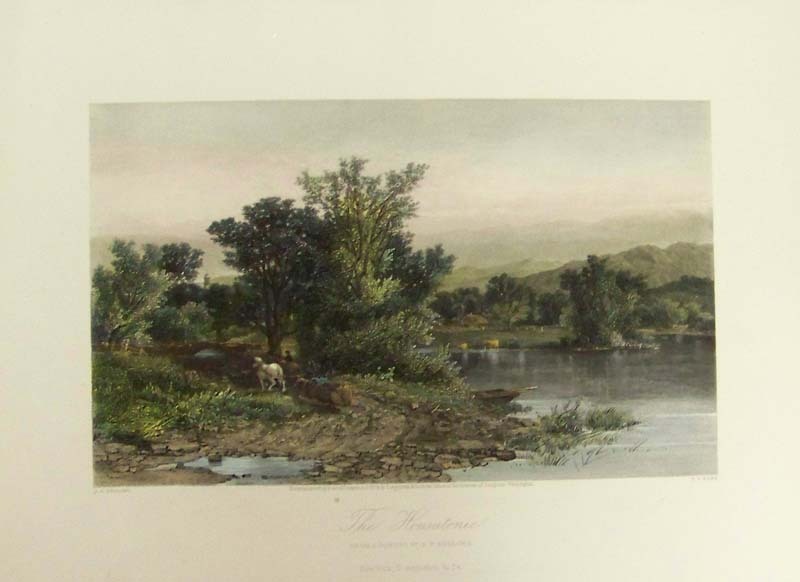 1873 View Near Fairfield, Conn. - K. Van Elten, N. A. 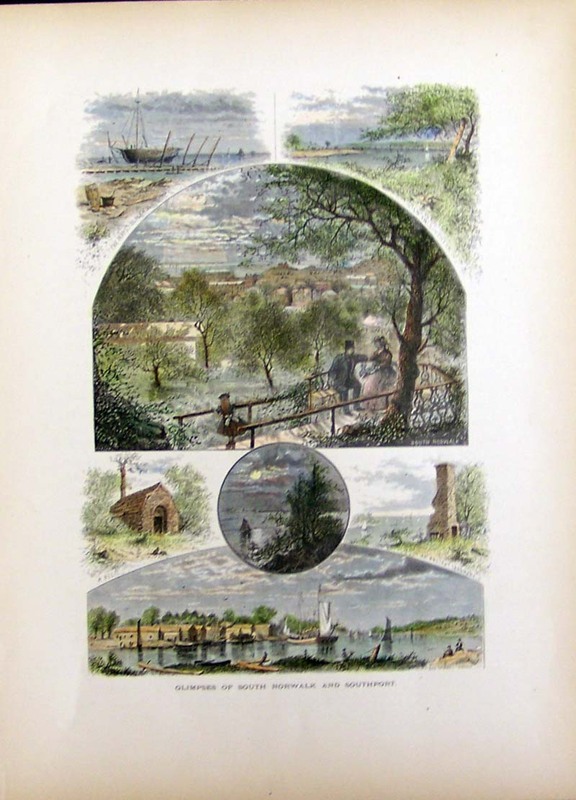 Hand colored wood engraving depicting a panoramic view near Fairfield, CT.
1887 Harper's Weekly hand colored wood engraving depicting three scenes describing the Opening of the Warner Sea-Side Institute at Bridgeport, Connecticut. 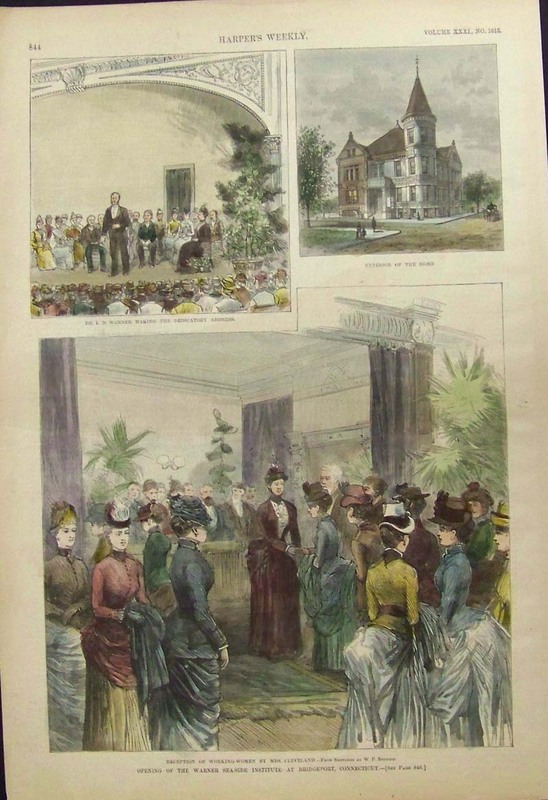 Bottom scene shows the Reception of Working-Women by Mrs. Cleveland -- From Sketches By W.P. Bodfish. Top left scene shows Dr. I.D. Warner Making the Dedicatory Address. Top right scene shows the front of the Home. 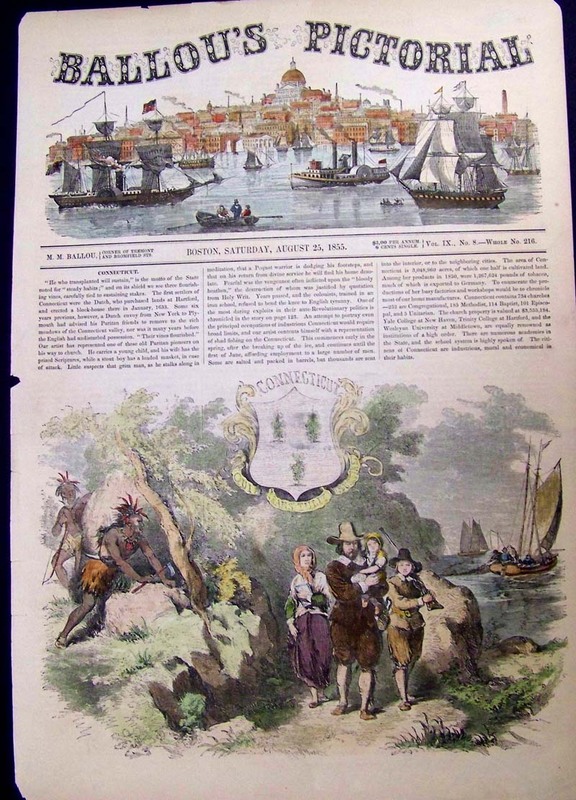 Also enclosed with engraving is a short article describing the history of the Sea-Side Institute at Bridgeport. New Haven Harbor 1879. 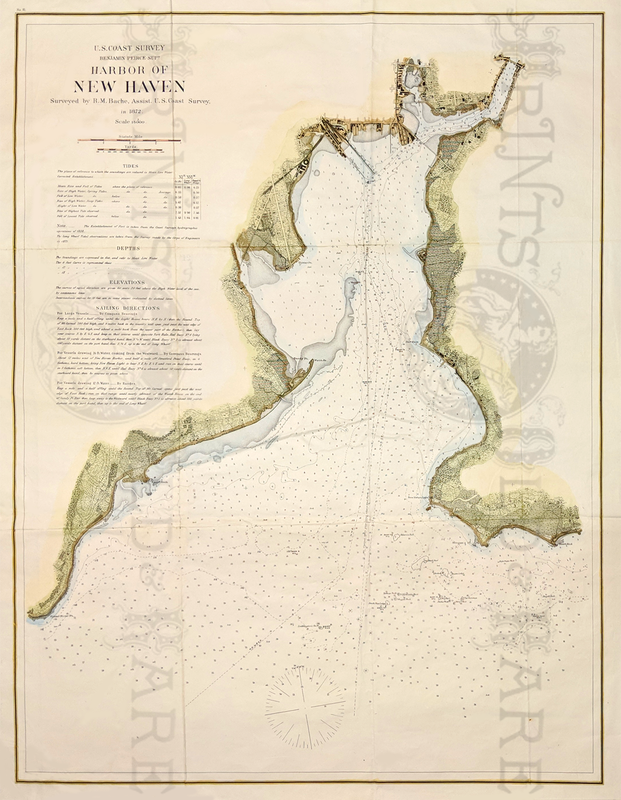 Beautiful hand colored chart of New Haven Harbor surveyed by R.M. Bache of the U.S. Coast Survey. 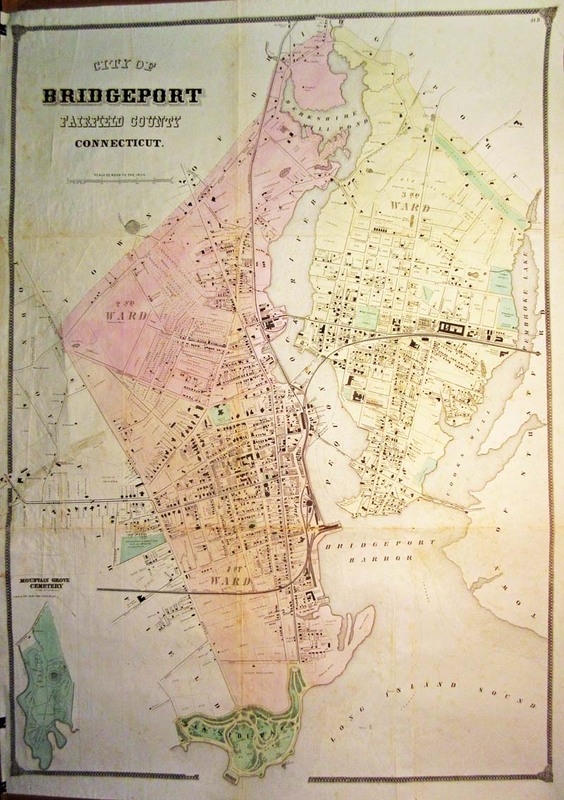 Showing the New Haven light house, Oyster Point and Fort Hale. Also has a report of Tides, Sea Depths, Elevations and Sailing directions. 1855 Ballou's Pictorial hand colored wood engraving depicting an old Puritan pioneer on his way to church as he carries a young child. His wife carries the prized Scriptures while a stout boy has a loaded musket, in case of attack. 1834 Very rare H.S. 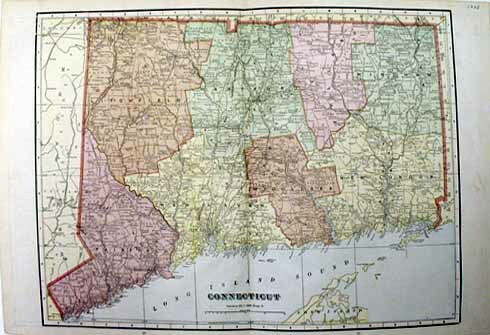 Tanner Map of Connecticut showing insets of Hartford and New Haven in bottom right corner and a Statistical Table on left side. Entered According to Act of Congress in the year 1834 by H.S. Tanner, in the Clerk's Office of the Eastern Dictrict of Philadelphia, Pennsylvania. Map was featured in Tanner's Universal Atlas.